This week we bring you news from the New York Motor Show, with the latest Nissan GT-R being unveiled, a new Mercedes-AMG GLC 43 and a Aston Martin / Red Bull Racing collaboration hypercar. Yes, you read that right - a hypercar produced by Aston and Red Bull! German luxury automobile manufacturer Mercedes have revealed two new versions of their GLC and CLA models ahead of the New York Motor Show. The former is the AMG-tuned GLC 43 SUV, coming with the brand's new 3.0-litre turbo V6 petrol engine capable of 362 bhp. It'll be pushing over 380 lb ft of torque and do the 0-62 mph sprint in just 4.9 seconds, powered through it's 4MATIC four-wheel drive system. On top of that the car will come equipped with their 9G-TRONIC nine-speed automatic gearbox and an AMG-performance Sport Plus setup for those extra fun moments. The latter however is an updated CLA and CLA Shooting Brake, with the changes less subtle than the GLC 43 but necessary to keep the the range up-to-date. You'll notice the front end receives a new bumper, grille and headlights, with the rear bumper getting a subsequent update too. New alloys finish the external look and inside there are some other small updates as well. The high-performance AMG CLA 45 will also receive a power increase, taking it from 355 bhp to 376 bhp, with a 0-62 mph time incase of 0.3 seconds meaning an impressive 4.1 seconds. Want either of the cars? Well the GLC 43 is out in June, and the CLA is available to order now. 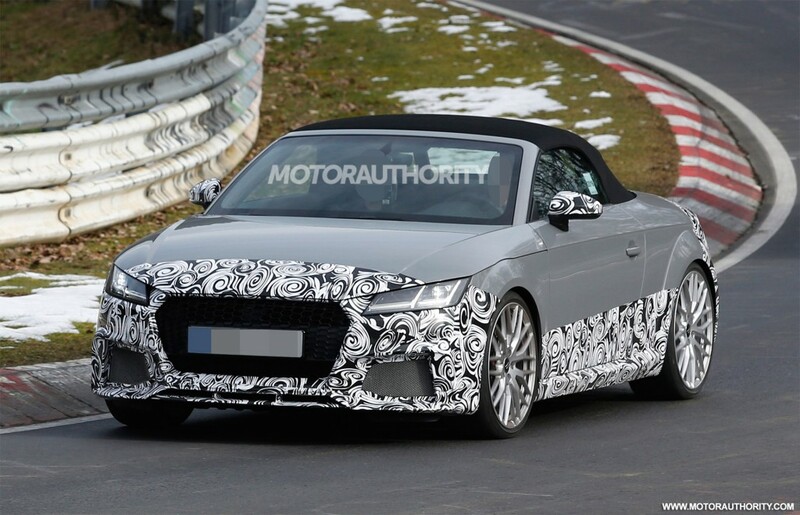 The TT RS Coupe is expected to launch later this year and now we can look forward to seeing its convertible equivalent on the horizon too after it was spied at the Nurburgring being tested. The TT RS Roadster will share the same engine as the Coupe - a 2.5-litre five-cylinder turbo capable of an estimated 380-400 bhp. It'll also come equipped with the brand's famous Quattro system and be available in either a six-speed manual or dual-clutch automatic gearbox. This could mean a quite thrilling sub-four second 0-62 mph time which you'd have to say is very impressive considering! It's difficult to spot the exterior changes due to the camouflage wrapping but from what we can tell a lowered ride height and beefier panel styling are evident. You can also expect a large rear spoiler to be added later on, unless it's electronic and currently hidden away. The TT RS Coupe and Roadster will be revealed over the next few months, so when they are we'll bring you full the details! The Nissan GT-R was originally released in 2007 and now the latest and greatest update brings a whole host of changes making it the best GT-R yet. Although it isn't a completely new generation, it is however massively different, with Nissan saying the changes are "the most significant sine the model was introduced in 2007". So, what are those changes exactly? Well firstly you'll notice the exterior has some small tweaks, with the car receiving style updates to its front and rear bumpers, front grille, bonnet and more, finished with some new 20-inch 'Y-spoke' alloys. Inside is probably the biggest change, with a completely new interior that is covered in leather. There's also a new eight-inch touchscreen, steering wheel, gearshift paddles and a huge clean up to reduce the previously unnecessary clutter. To complete the car, it also receives some work under the hood, with an additional 20 bhp now produced meaning a total of 562 bhp. It is set to arrive in autumn, so you may see one of these out and about sooner than you might expect! Toyota's GT 86 has been given an update and shown off at the New York Motor Show. Instantly you'll notice the car's beefier look, with a new front grille, bumpers, lights and alloys. Inside there's new Alcantara and leather upholstery on the door panels, a new steering wheel design, and new silver-stitched cloth seats. The only other thing that has changed is the car's suspension, which has been modified a great deal to improve its handling. You may be disgruntled to find the power output hasn't increased at all, however this isn't necessarily true... nor is it false. Toyota are yet to unveil any power figures, so for now it may still be pushing the original 197 bhp its 2.0-litre petrol was capable of, but that might change in the future. For now we'll take no news as good news and cross our fingers until the car arrives at the end of the year. Aston Martin debut DB11, plus a Red Bull hypercar collaboration too! Aston Martin have revealed their DB9 replacement - the all-new DB11. The car comes fitted with a new 600 bhp twin-turbo V12, making it the most powerful DB ever. It'll do 0-62 mph in just 3.9 seconds and hit over 200 mph - so it really is fast. Power isn't everything though, with Aston describing it as "the most dynamically gifted" DB model in history. This is a result of its stunning bodywork, electric power-steering rack and dynamic torque vectoring. 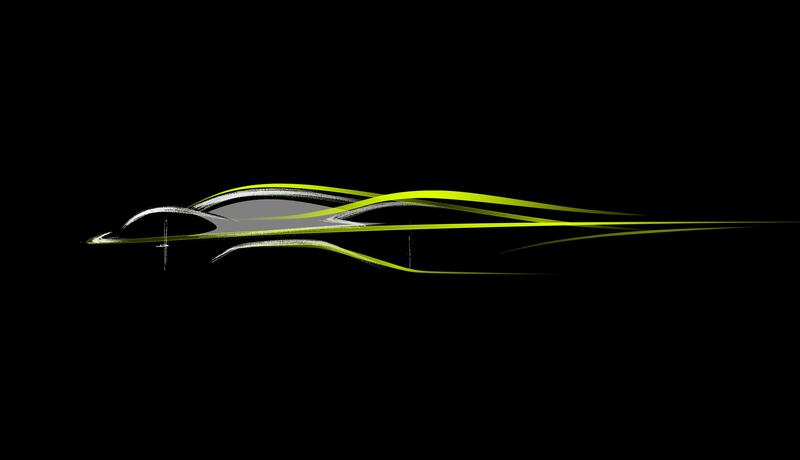 And if you think all that is exciting, well what about the news that Aston Martin have confirmed they're working alongside Red Bull Racing to produce a hypercar with "ground-breaking aerodynamics" and "spectacularly beautiful looks"? Well the claims that this car will be able to "lap Silverstone as quick as or quicker than an F1 or LMP1 car" should get you salivating! Unfortunately nothing is known about this hypercar other than the fact that it's dubbed 'Project AM-RB 001' and that it'll arrive in 2018. In the meantime we'll have to enjoy the DB11 which is arriving in autumn - if you have £155k to buy one!